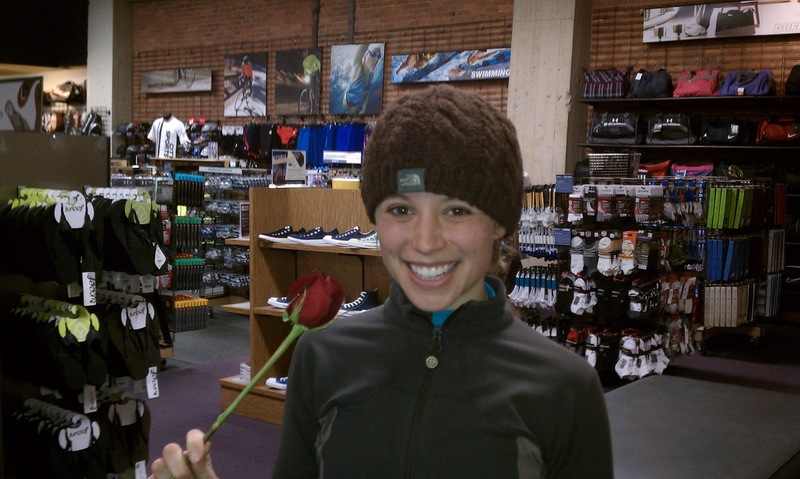 – rose is a rose is a rose is a rose – or is it? An informal Saturday, 2 days before one of the most dreaded holidays of the year was upon us like a lion stalking an ostrich in the African bush. Although this lion wasn’t struck by cupids arrow, it would be more comforting to know that he wasn’t in fact stalking his prey, rather preparing a grand gesture of surprise as he would plan to leap from the tall grass and present his Ostrich with a dozen roses. It’s unfortunate that nature doesn’t always work that way – but running club? Maybe. 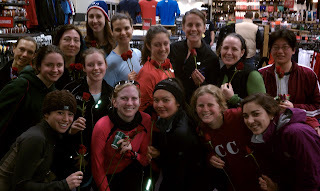 As is tradition on the grandest of days preceding Valentines day, Evan Dana (check out his party on Saturday) pulled a serious man move and bought enough roses to present all of our lovely ladies with a small gesture of our eternal gratitude for their commitment to making running club look good. Not to mention, these are some of the coolest ladies I know.